Hello and happy Tuesday. It's time for another challenge at CASology. This week, our cue word is FLIP. Being a Southern California gal, I pretty much live in flip flops. Having a polka dotted pair in every color would be like a dream come true. Now it's your turn. 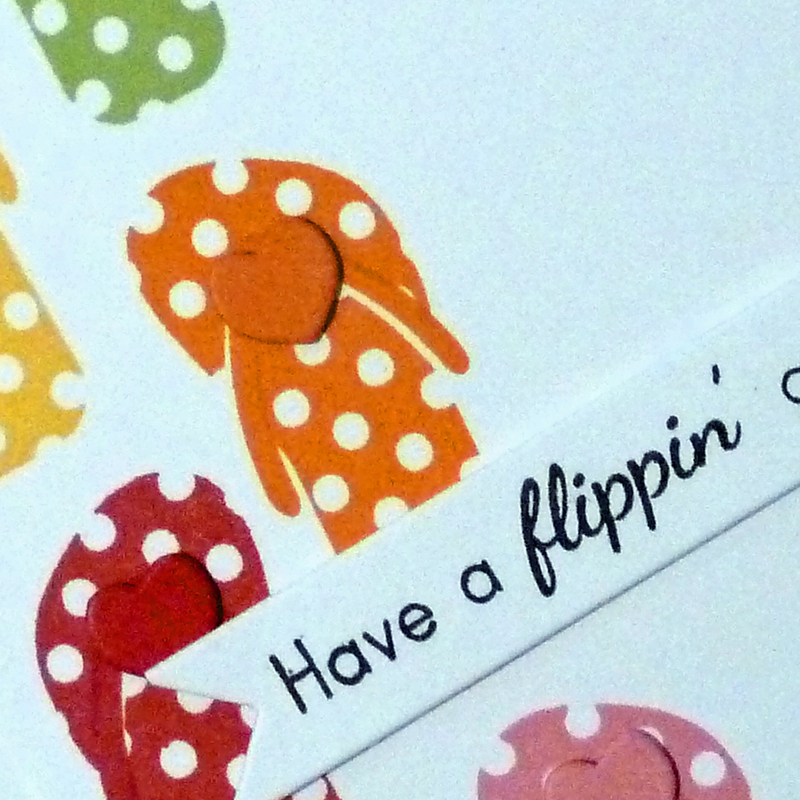 How does FLIP inspire you? I hope you play along this week. Please remember to keep it Clean and Simple. 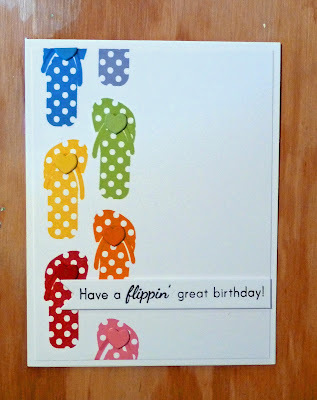 Super cute design and I love your rainbow of colors on these sweet flip-flops, Joyce! Can I get in on those polka dot flip flops in every color??!! This is adorable Joyce! Love your sweet polka dot flip flops...so much fun! 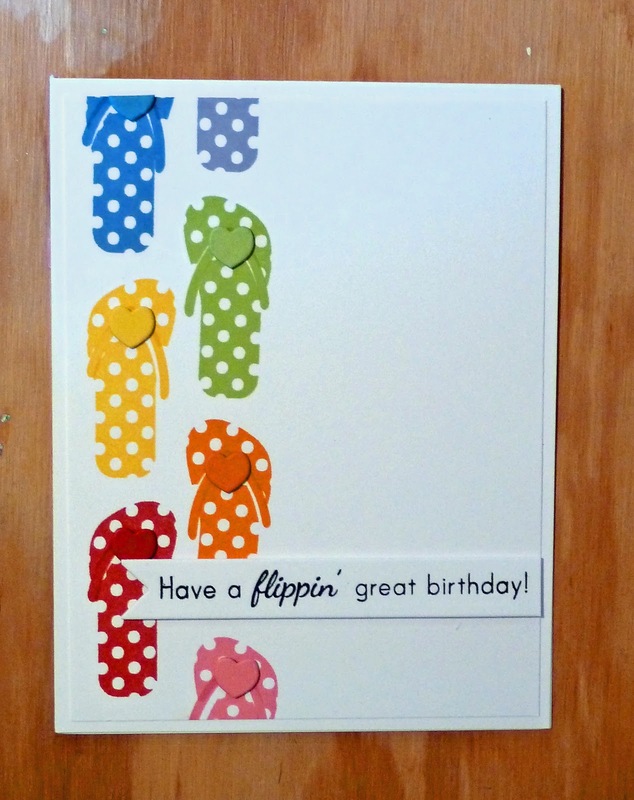 love this card and now i will have to look for polkadot flips( i live in So.California too. I have not used this set in ages, and I still love it. Such a fun bold and vibrant CAS design!! LOVE this! Awesome card! Love the rainbow parade of flip flops!